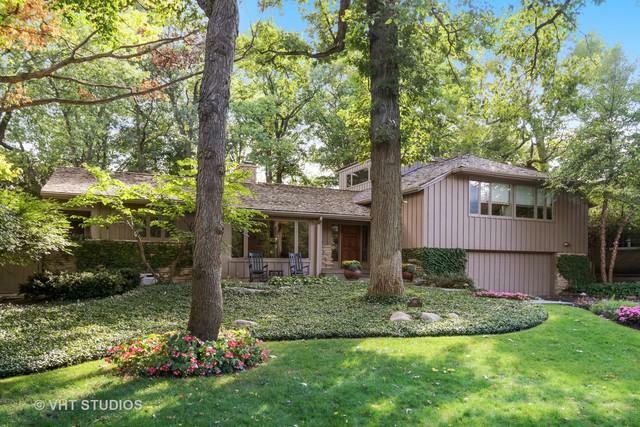 Stunning and spacious Braeside Contemporary! Dramatic main level offers a large foyer which opens up to generous family room with vaulted ceilings, 2-way fireplace and floor to ceiling windows overlooking private wooded yard. 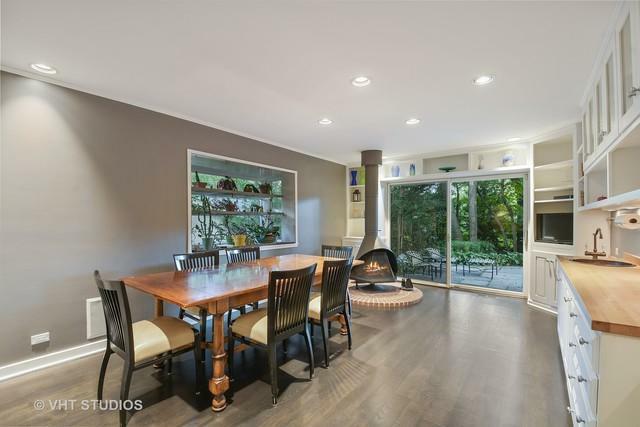 Main level also includes spacious dining room, living room and large eat-in white kitchen. Custom glass and steel staircase to bedrooms and private 3rd floor office with custom built-ins and balcony. Amazing master suite includes custom walk-in closet, master bath with double sinks, soaking tub, full steam shower with multiple sprayers, heated floors and electronic shades. Lower level includes, 5th bedroom, full bath, huge custom laundry room and large den with surround sound. Stunning, private yard includes 2 bluestone patios, custom lighting, and outdoor speakers. Many upgrades including partial newer cedar roof, custom cabinetry throughout, all new baths, rift cut white oak floors, bluestone walkway and front porch. 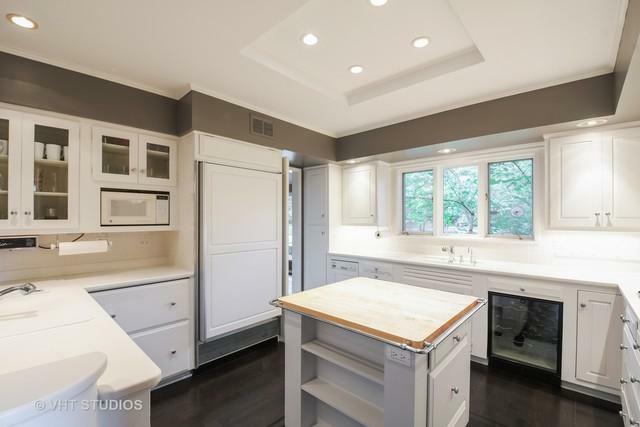 Close to Ravinia and Botanic Gardens. Listing provided courtesy of @Properties. © 2019 Midwest Real Estate Data LLC. All rights reserved. IDX information is provided exclusively for consumers' personal, non-commercial use and may not be used for any purpose other than to identify prospective properties consumers may be interested in purchasing. Information is deemed reliable but is not guaranteed accurate by the MLS or Leigh Marcus | @properties. The data relating to real estate for sale on this website comes in part from the Broker Reciprocity program of Midwest Real Estate Data LLC. Real Estate listings held by brokerage firms other than Leigh Marcus | @properties are marked with the Broker Reciprocity logo or the Broker Reciprocity thumbnail logo (a little black house) and detailed information about them includes the names of the listing broker. Some properties which appear for sale on this website may subsequently have sold and may no longer be available. NOTICE: Many homes contain recording devices, and buyers should be aware they may be recorded during a showing. Data last updated: 2019-04-20T15:52:14.373.